You can use the information stored in your database to populate form fields. 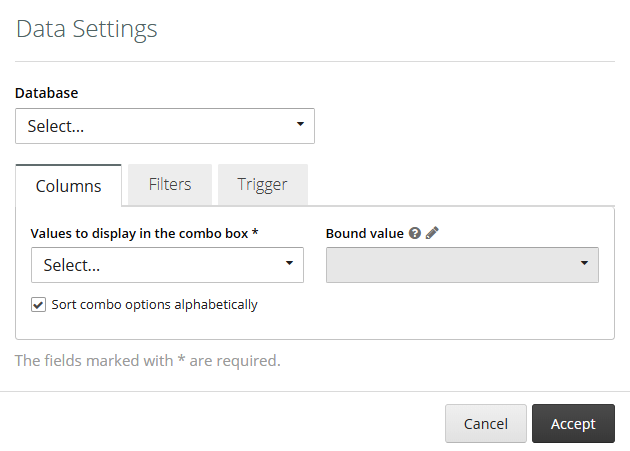 The options on a combo box (multiselect or not) can be populated from a column of a certain database. Filters are optional. They allow you to establish some conditions to extract only those database records that meet those conditions. If you add more than one filter, the system will only show those records that meet all the conditions simultaneously. The trigger is optional. 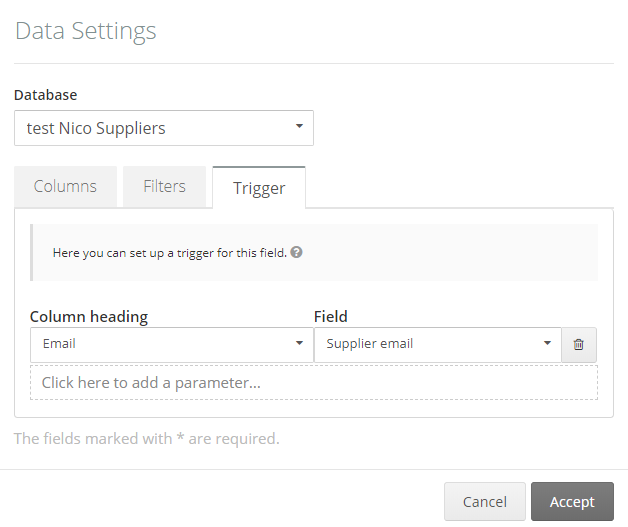 If you set a trigger, you can populate other form fields automatically with the information obtained from a database. Example: Select a Supplier on a combo box and the fields corresponding to the supplier&apos;s contact details will be populated automatically. Example: populate the email of supplier after selecting the supplier&apos;s name.